Located near the Normandy coast, Mont Saint Michel is one of the most gorgeous and appealing islands to visit in France. It is located at Couesnon River’s mouth and is among the best must-sees French destinations. The island, which has a rich occupational and architectural heritage, has many impressive environmental aspects such as high tides. 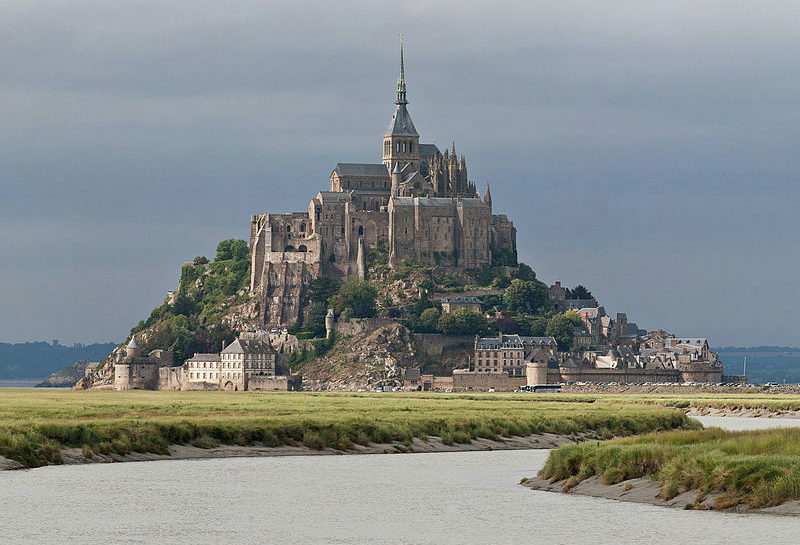 Mont Tombe, which was later, renamed Mont Saint Michel following the emergence of Saint Michael who was a key Christian figure in the 8th century, was originally inhibited by non-Christians. The most renowned human-made structure in this historical destination is The Abbey (constructed around 10th-15th century). The structure was initially used precisely for religious functions. However, it was later used as a prison during the French Revolution. Christians moved back in The Abbey in 1966 during its 1000th anniversary. The historical destination is hilly and has many steep stone steps. Equip yourself with the appropriate walking shoes. The highest point on the hilly region is 92m above the sea level and has gorgeous half-timber buildings and winding streets that are lined with stones. It is a perfect place to go for vacations as well as hiking. Additionally, the place windy and chilly; therefore, you are advised to carry warm clothing. You are advised not to visit the island during the peak season. Being one of France’s most toured sites, the destination is always packed. Most tourists visit during July and August; to avoid crowds, try avoiding this island during these months. Furthermore, it is more pocket-friendly to tour the island during off-season since the restaurants and hotels offer affordable prices during this time. • Tour the mount late at night or early in the morning – To capture the island’s best lighting, visit during daytime. This will help you avoid the crowd and will facilitate a clear and better view of the Abbey. • Give yourself and your loved ones adequate time to explore everything – There is much to see in this island (for example the historical streets, bays, and a few little touristic museums). • Examine the tidal calendar – During certain times, there are extremely high tides which make the island inaccessible. It would be frustrating to arrive at the island only to find it inaccessible. • Do not forget to carry a camera with you to capture everything. While exploring the island, do not wander around the bay without supervision. Although the bay has many people around and is amazing, it can be dangerous especially when a high tide comes rushing and quickly, so be on the lookout. Also, you are advised not to be on a tight schedule when you tour this gorgeous destination. Before you arrive at your destination, you are likely to spend a lot of time on the road especially if you are using the public transport. A road trip to Normandy’s most-toured destination is a great idea. There are companies that are ready to offer organized trip options that you can choose from. An overnight stay or day trip is enough to see what the iconic island has.